Double the layer, double the protection. The Tough Armor™ is a fan favorite and a best-seller for its unbeatable protection. 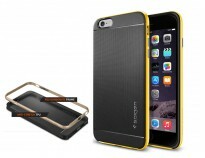 The structure consists of two layers, one for shock-absorption and the other, scratch protection. For added functionality, it features our latest kickstand not only for hands-free viewing but also a color-matched look. Take away the bulk but remain adventurous with the Tough Armor™.